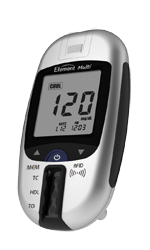 A cholesterol measuring device enables quick and efficient measurement of Total Cholesterol, Triglycerides and HDL. 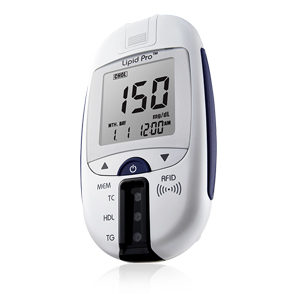 LipidPro measures Total Cholesterol, HDL Cholesterol, Triglycerides and Glucose in one device, with minimal blood sample volume. Small and simple to use, LipidPro brings fast and accurate results anytime, anywhere.